Sunday evening we arrived at Benito Juarez International Airport in Mexico City. Obtaining a six month tourist visa turned out to be an extremely simple process and within minutes we were on our way. For the past few days we’ve been focused on getting settled, visiting with Carlos’ family and adjusting to our new environment. So far everything is going really well. There is so much to see and do and so much that I want to share with everyone back home. I hope to have some new posts and pictures up within the week. This is the first in a series of posts about my experiences learning to speak Spanish, updates on my progress, challenges and recommendations. 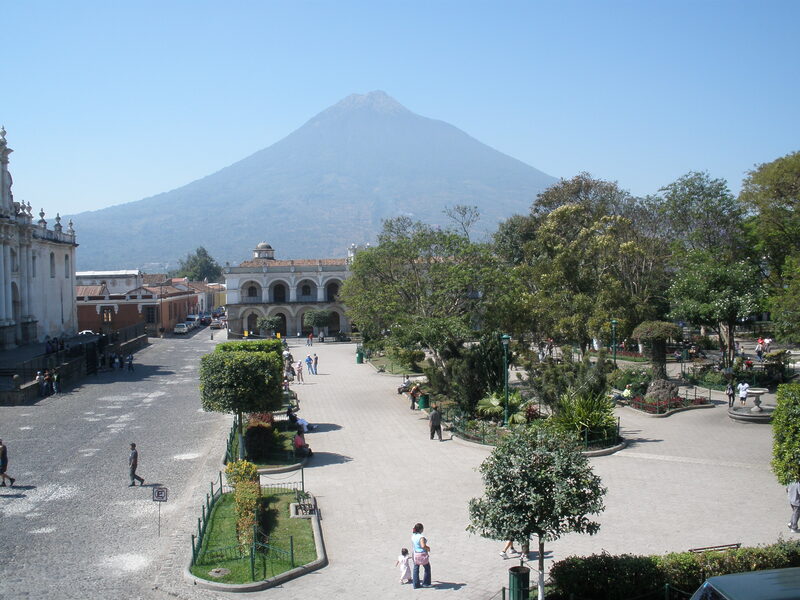 This past April I traveled to Antigua, Guatemala to participate in a two week Spanish language immersion program at Spanish Academy Sevilla. Spanish immersion programs are popular in cities and towns throughout Mexico, Central and South America. These programs provide travelers with the opportunity to learn to communicate in the local language, take part in activities that introduce them to the local people, learn about the local culture and to practice with native speakers outside of the classroom. At the conclusion of my two week program I found I was able to understand some of what was being said around me, but I still struggled to speak and I was unable to translate quickly enough to follow the conversations of others. I was told that most students are able to carry on complete conversations after about three or four months of daily study and practice. I am looking forward to participating in several more immersion programs as we travel from country to country. The most difficult part of trying to learn a language is moving beyond the literal translations and learning to speak correctly. In Antigua I spent the first week of my trip excited that I had managed to combine verbs in the proper tenses to ask for things as I would here in the States using the expression “Can I have…” Only later did I come to find that this translation, while understood, is not generally used and is a very common mistake for people new to the Spanish language. I have a feeling I’m going to encounter similar situations over and over again. When I mention my relocation and travel plans the first question I’m usually asked is if I speak Spanish. People find it hard to believe that after so much time spent in the classroom and despite the fact that I live with a native Spanish speaker I could still have such a tough time communicating in Spanish. But for me, as for many people, learning a second language is proving to be extremely difficult. It’s going to take a great deal of time and effort to be successful. I recently came across this article about the importance of learning the local language when relocating overseas. The authors, also native English speakers now based in Mexico, categorized expatriates into three groups, those that never intend to learn the language of their new country, those that try, struggle and eventually give up, and those that persevere and finally succeed in communicating in the new language. I am determined to be a part of this final group. I think back to a friend of mine who spent her junior year of high school in Brazil. She was totally immersed in the Portugese language from day one and upon returning home was nearly fluent. Through a combination of immersion, classroom study and language exchange I hope that I will be able to acheive similar results.